Creativity in Thinking. Innovation in Technology. Integrity in Values, these 3 small seeds sown in 1988 have helped us change the skyline of Pune. The journey began with a small dream. A dream to nurture quality homes, quality of life and nature. 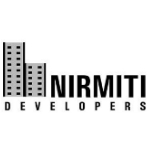 Nirmiti Group of Companies is one of Pune’s most reputed real estate development companies. With more than 80 completed projects and more than 2500 happy customers, Nirmiti has emerged as a key player in the industry. And taking Nirmiti to these heights of success are the organization’s significant features like high quality construction, excellent customer care, prompt services, complete transparency in dealings, amazing architectural planning and a wide choice of locations to customers. Be it a modern 2 BHK apartment or 3 BHK, three side open apartment with a spectacular view, Nirmiti has a wide variety of projects located in prime locations of Pune. Some of our current projects are - Crimson Dale, 2 ,3 & 4 BHK apartments at Baner surrounded by landscaped gardens and lush greenery; Albacitta’s 2 & 3 BHK Apartments at Baner with top notch amenities are designed keeping a modern lifestyle in mind. Fili Villa –Luxurious 4 BHK apartments with Ultra-modern amenities. In brief, trust only Nirmiti for a complete home buying experience. Every organization is successful because of its people and Nirmiti succeeds given the leadership that takes it ahead – the 2 directors Mr. Sunil R. Puranik & Mr. Nitin G. Puranik.